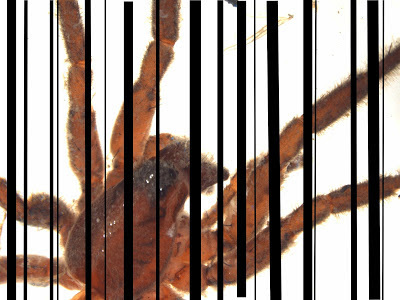 ecoLincNZ: What's wrong with DNA barcoding? What's wrong with DNA barcoding? In many sci fi tv series or movies there is a point at which a starship arrives at a new planet. The captain usually says something like "Scan for life forms" and the science officer is able to push a few buttons and give a nice report on the life on the planet, ecosystems to be found and so on. Sometimes this makes me smile wistfully and think about how great it would be to be able to do this. Sometimes I get a little annoyed that an endeavour that currently takes thousands of people huge amounts of time and resources every year just to get a little closer to knowing this information for Earth is being treated so cavalierly. The idea that we could quickly identify and measure biodiversity is a powerful one and there are many innovations that are certainly helping to speed the process up. One of these is DNA barcoding. The basic idea of DNA barcoding relies on different regions of our DNA changing at different rates over time. Some regions change slowly, taking hundreds of millions of years, others change from generation to generation. DNA barcoding relies on the fact that some DNA regions change fast enough that different species have a unique pattern within gene regions but slow enough that different populations within that species share the same pattern or 'barcode'. This approach has now been around for a decade and has become useful for two related but different tasks: specimen identification and species discovery. Specimen identification occurs when we have a sample from an individual, say fruit fly eggs in some bananas, and need to know which existing species they belong to or which country they have come from. Species discovery occurs when we have a bunch of samples, say a bunch of big, black forest beetles from throughout the South Island, some of which we already know and others that look a little different, and we see if the different looking group are significantly different from the known species DNA and might warrant be species themselves. DNA barcoding has had some fierce opposition over the last ten years. Many researchers have felt that species identification is more complicated than just simply finding whether an individual possesses a particular chunk of DNA and there have been debates about whether one gene region, usually CO1, is reliable enough. However, many of these issues have been dealt with or acknowledged and DNA barcoding is becoming a useful tool in the ecologist toolkit. Rupert Collins and Rob Cruickshank have put together a review paper in Molecular Ecology Resources that looks at the 'seven deadly sins of DNA barcoding' where they examine common mistakes made in DNA barcoding research (which become just the sort of thing that annoys other researchers about this method). The first is a failure to present clear hypotheses, which is not unique to this type of research. Second, DNA barcoding relies on starting with DNA sequences from identified species and often this is a source of human error which invalidates the rest of the research. Third, often the term 'species identification' is used which is a conflation of species discovery and specimen identification which have very different goals and methods. Sins four to six are to do with inappropriate use of different statistical methods and the seventh focuses on how researchers often do not correctly interpret the genetic variation that they find between their specimens. Despite these issues, Rupert and Rob are optimistic about the future of DNA barcoding as it has become an accepted tool and more time is spent on fine-tuning the method. Who knows, maybe starship captains of the future may be able to get that quick survey of a new planet's biology after all. That's interesting. Good job, Rubert and Rob. Of course, if this is going to be useful for your future starship captain, the life forms will need to be based on DNA, using the same genetic code, and have independently evolved the CO1 enzyme (or some similarly slowly evolving analogue that would then need to be identified). And then you'd just have a large pile of labels with nothing to attach them too. It still sounds like the starship will have to be in orbit for quite some time. And why not? Being able to push a button to scan a planet's lifeforms may help Hollywood movies move on with the plot and the explosions, but it takes away all the biology fun.